Virgil Reynolds said, "This model came from Dwight Hartman. * I purchased the plans in Sept. 1980, laid the bottom out Dec. 3, 1982. I guess I'll never call it finished till it's gone or I am. When they changed the hull I never changed the models, too beautiful." 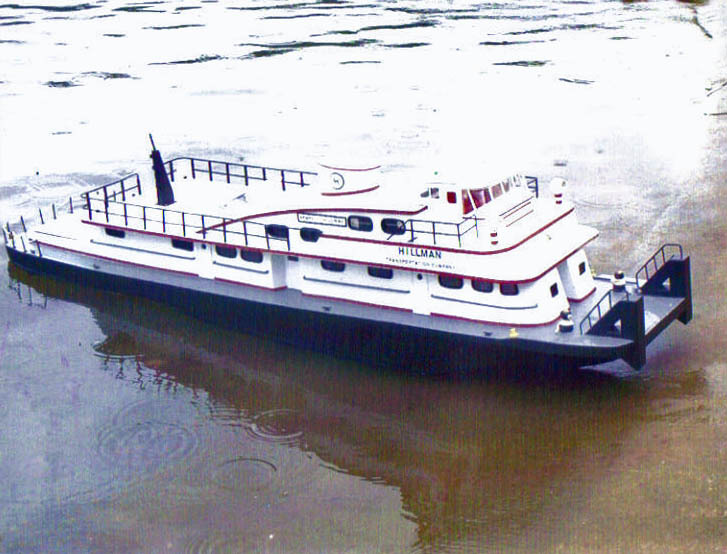 Virgil Reynolds said, "This towboat was built in Brownsville, PA, in 1952. I have found it on my c.p. and it's running out of Baton Rouge, Louisiana, to Houston, Texas. 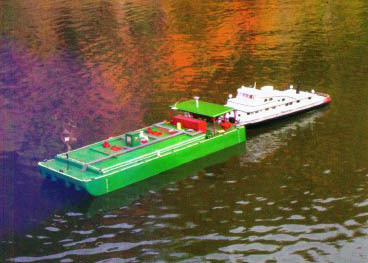 What is unique about the boat is that it has a 'V' shape hull on the bow (front) end. It will be radio controlled and it's a 1/24th scale." Virgil Reynolds said, "This boat ran out of New Orleans. 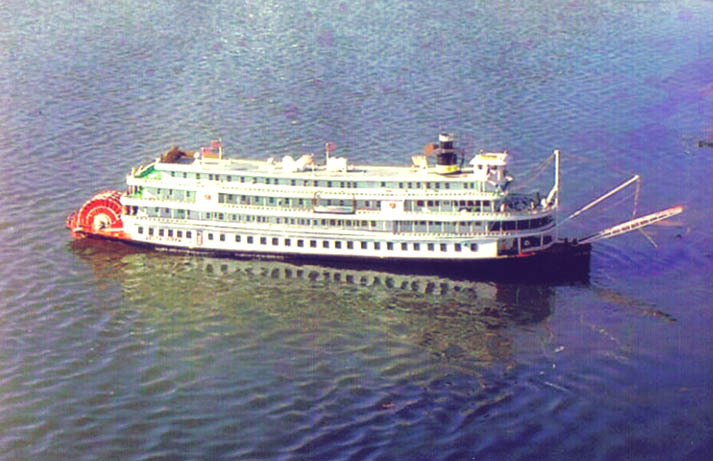 I helped bring her to East Liverpool, Ohio, in July 1993. She is now running out of Newburg, NY, on the Hudson River. The model is 1/24th scale and radio controlled. It plays music." 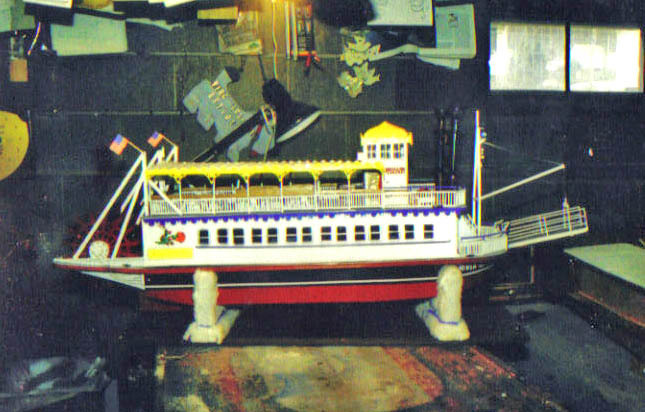 Above: the 1/50th scale model of the Delta Queen. Below: Lou Holtz and Virgil Reynolds at the Lou Holtz Museum, East Liverpool, Ohio, in front of a model of the Delta Queen.